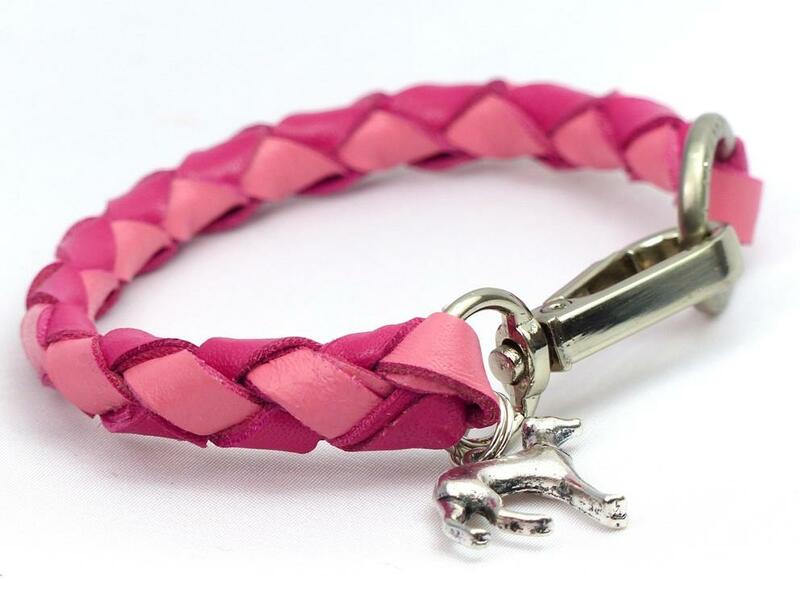 We know how you love our braided collars for your hounds and after making a tiny version for an Iggy we realised we could make them small enough to be worn as a bracelet ourselves! Alexandra road tested one for several months and has even had a tag made to match her hounds tags, so can vouch for how nice they are to wear as they soften mould to your skin. 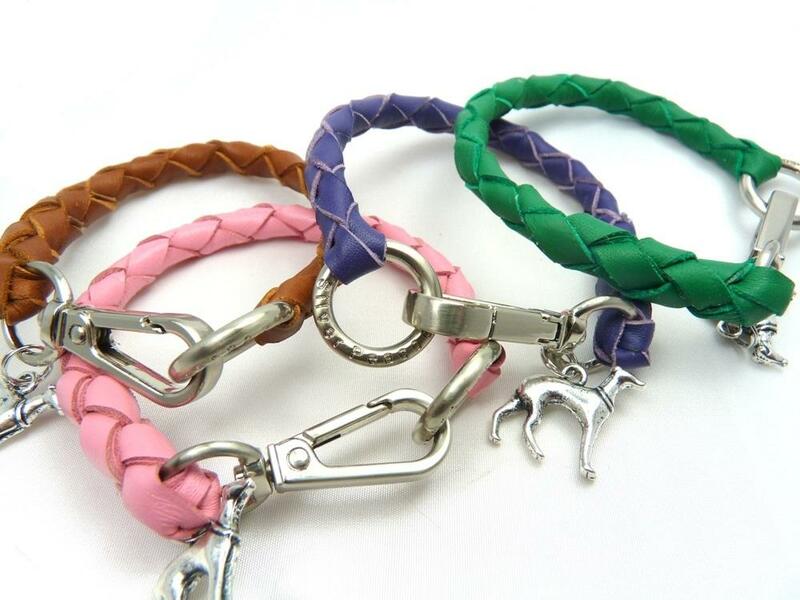 These will make perfect gifts for your hound owning friends or just a little present for yourself! 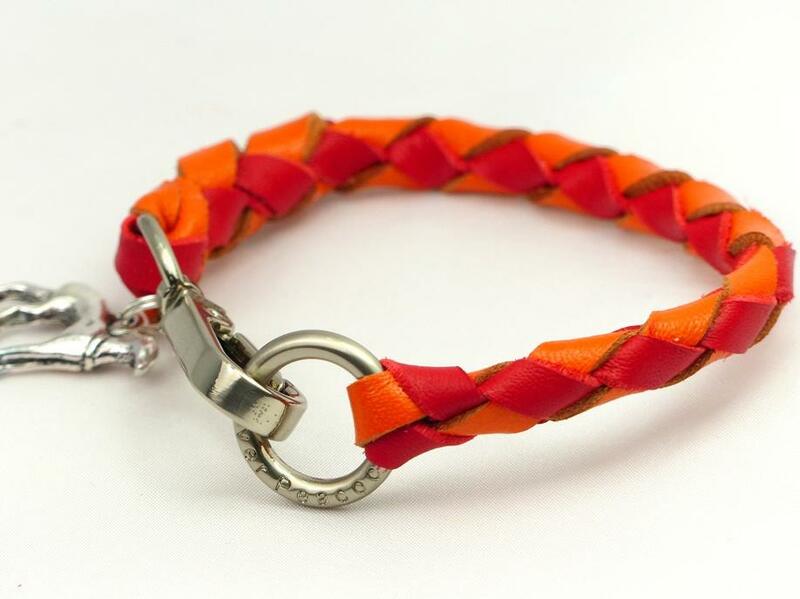 Made from the same kangaroo leather lace as our tag collars, and hand braided by us, these lightweight, durable and super strong bracelets are sure to attract admiring glances. We go to the efforts of importing this special kangaroo leather from Australia rather than using ordinary leather, not only because it's so beautiful but because of it's strength and the more it's used the better it gets! 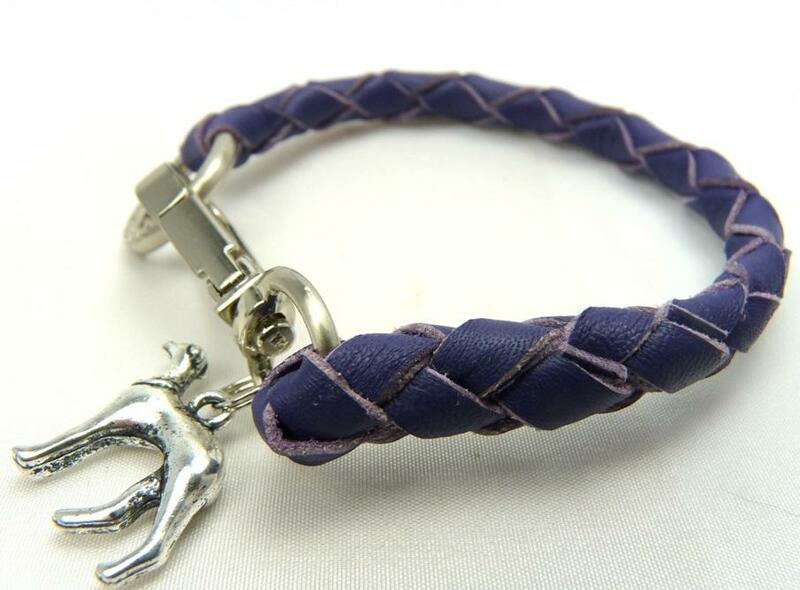 The bracelets are approximately 7 ½" (19 cm) and finished with a high quality loops with the Silver Peacock logo embossed around the edge, and snap clasp, both made to our design and are a real feature of the bracelet. 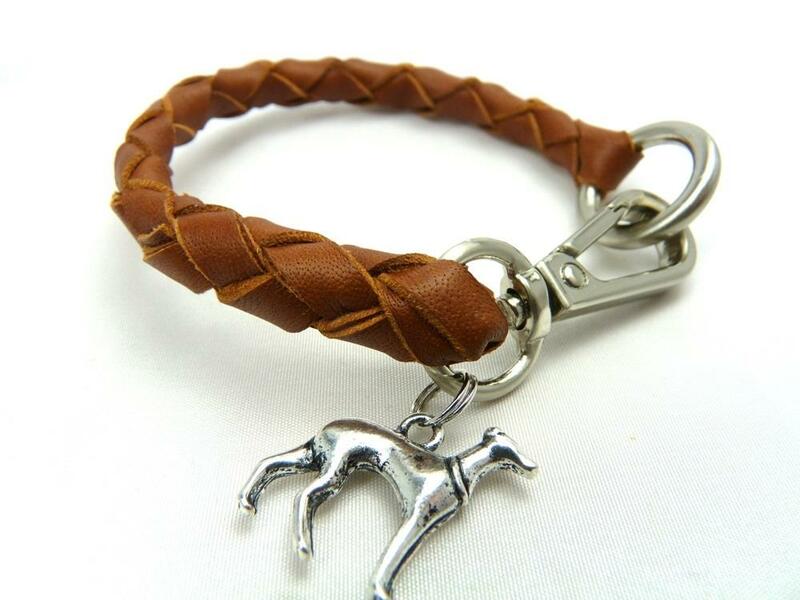 They are then further embellished with a tiny silver coloured hound charm. Each bracelet comes gift wrapped in our signature packaging. 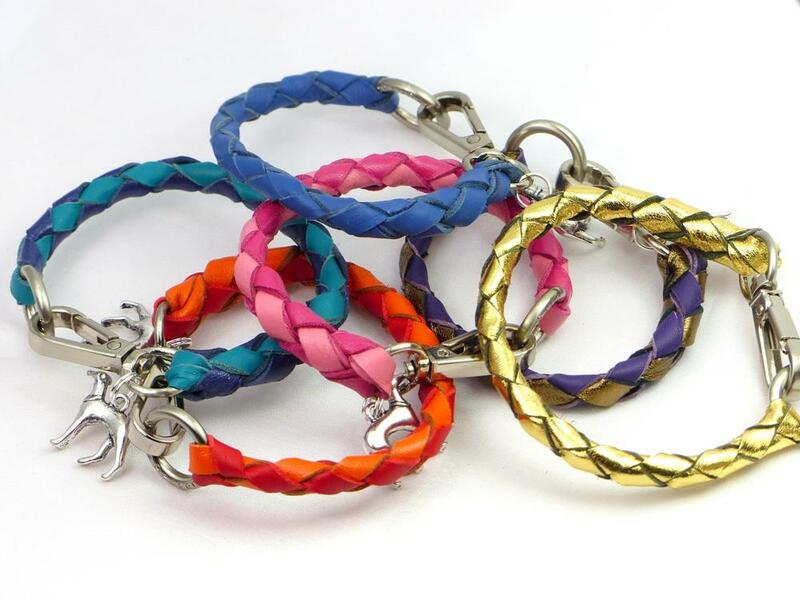 The bracelets soften and ease with wear so although may be a little stiff on arrival, will quickly become supple with use. 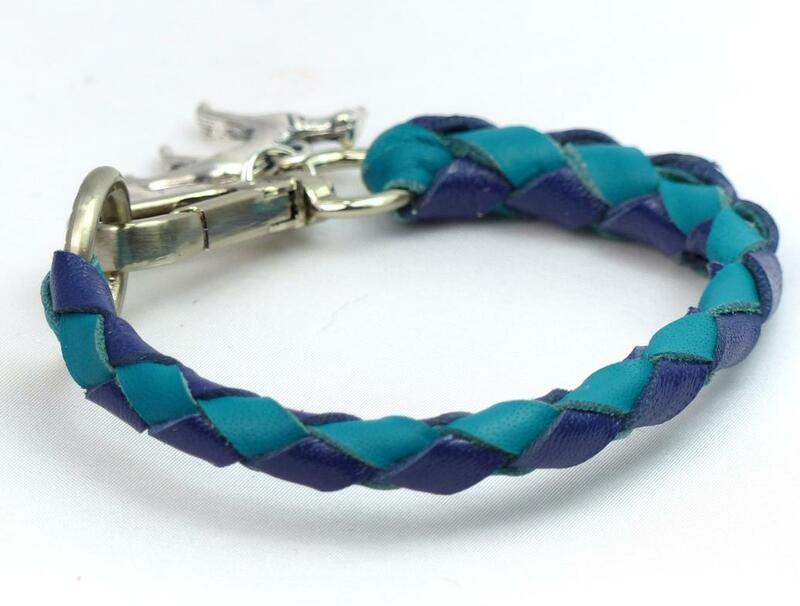 Each bracelet is made individually to your request as a custom order so please ensure you are happy with the colour choice / size before puchase as exchanges are not available on custom items.